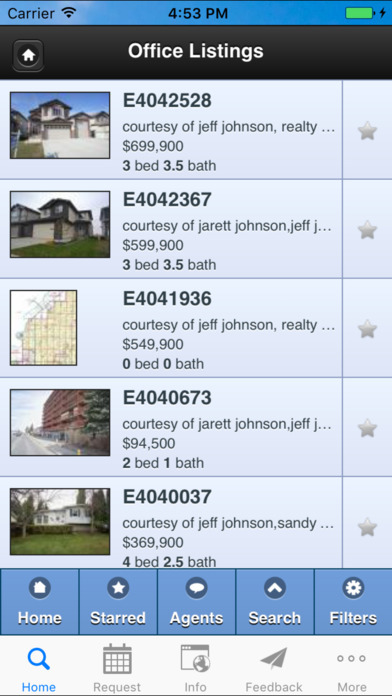 You can see all the available MLS ® listings right where you are standing with your mobile device! The GPS Search function is the most powerful and useful way to search. You can also search by neighborhood, MLS®#, or postal code! If you are thinking of selling you can keep up with the activity in your neighborhood by just clicking the GPS button in this app. If you still can’t find what you are looking for, let us know what you need by sending me an email and I will let you know when a property matching your criteria comes available. It doesn't get any easier than this! Brought to you by Johnson Real Estate, Fort Saskatchewan, Alberta. Put our experience to work for you! We can help you have a great Real Estate experience, buying or selling. Note: this application only searches for real estate on the Alberta MLS® system. It is available internationally for users who want to search in that area.